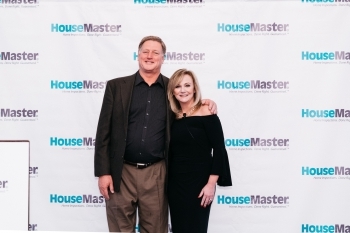 Tulsa, OK - 2018 —HouseMaster Home Inspections serving Tulsa, Oklahoma, recently presented Brenda and Bill Woodward with the company’s Century Club Award, which recognizes real estate service providers for their integrity and commitment to service in working with their customers and clients. 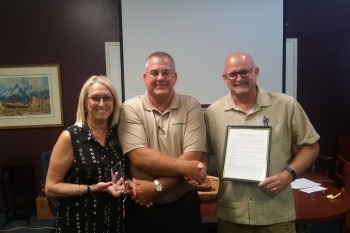 Dan LaBrake, the owner of HouseMaster Home Inspections located in Broken Arrow, presented the award at her office in Tulsa. In 2017, Brenda Woodward of Berkshire Hathaway Home Services Anderson Properties was the No. 1 Agent in BHHS Anderson Properties’ Tulsa office with a volume of nearly $19 million dollars in transactions. She was also the No. 2 agent in units sold with 76 units closed. 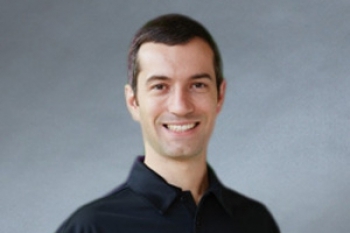 These accomplishments earned Woodward the company’s Chairman’s Circle-Gold Award. Woodward’s team, known as the Woodward Group, includes her husband Bill. Brenda has 17 years of experience in real estate and was listed as one of Tulsa’s Top 100 Realtors in 2018 by the publication TulsaPeople. 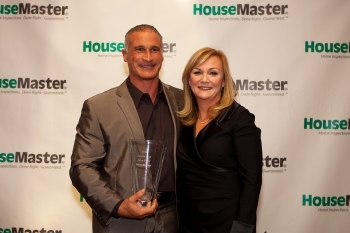 HouseMaster has been serving Tulsa and surrounding areas since 2002 and is considered one of HouseMaster’s top franchises in customer satisfaction and market share. 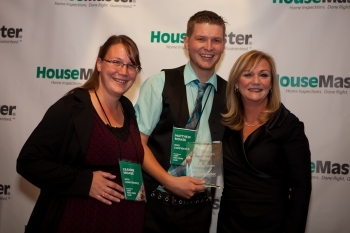 Dan and Margaret LaBrake are leaders in the Tulsa community and throughout the HouseMaster franchise system. 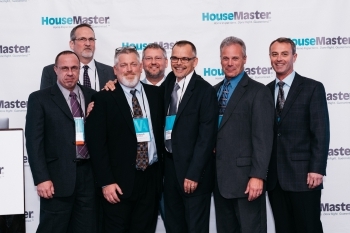 “On behalf of all of HouseMaster, we want to congratulate the Woodward Group on their success and achievements,” said HouseMaster President and CEO Kathleen Kuhn. 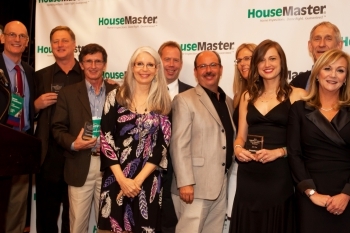 For more information, please contact Dan LaBrake at 918-455-4406 or tulsa@housemaster.com.